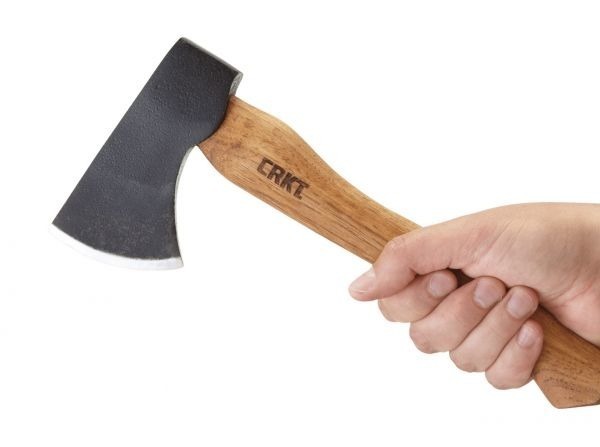 The CRKT Pack Axe by Elmer Roush is a compact travel and tour axe. 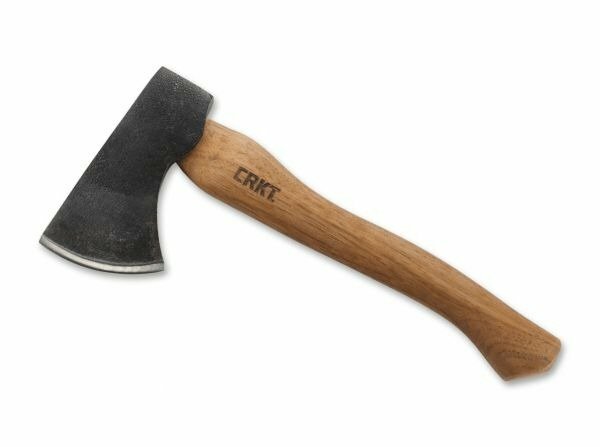 The raw forged surface of the axe head made from 1060 carbon steel does not just offer a rustic look but also holds up to the elements. 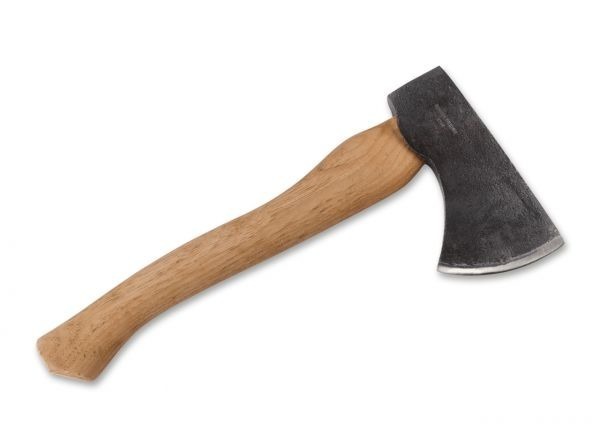 The handle of American hickory wood is the perfect choice for a classic hatchet like the Pack Axe.